Beauty is where intentional design meets the timelessness of nature. In the Blue Ridge mountains, landscapes should blend designed structures with the splendor of our natural environment, fostering a sense of elegant continuity. Jennifer’s Landscape Design draws on 41 years of experience and Master Gardener certifications in three states to bring out the natural beauty of your home. It all starts with a plan to reflect your style – whether it’s rustic, native, eclectic, or traditional. Our designs use planting, hardscapes, and water features to transform your outdoors into a place of inspiration. Once the design is set, our installation crew takes over. We plant, build walls, and create water features with skilled artistry. Jennifer’s Landscape Design also builds patios and other outdoor features. Our dedicated team can turn your vision into a reality. Expert landscaping is one of the most important investments you can make in your home. Give your outdoor space the natural beauty you always imagined. Jennifer Mills has 41 years of landscaping experience and Master Gardener certifications in three states. Her styles include rustic, native, eclectic, and traditional. 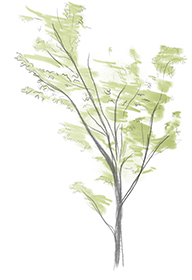 Jennifer creates detailed plans with visualizations of planting and other landscape features. Jennifer’s Landscape Design has 41 years of planting experience with Master Gardener certifications in three states. 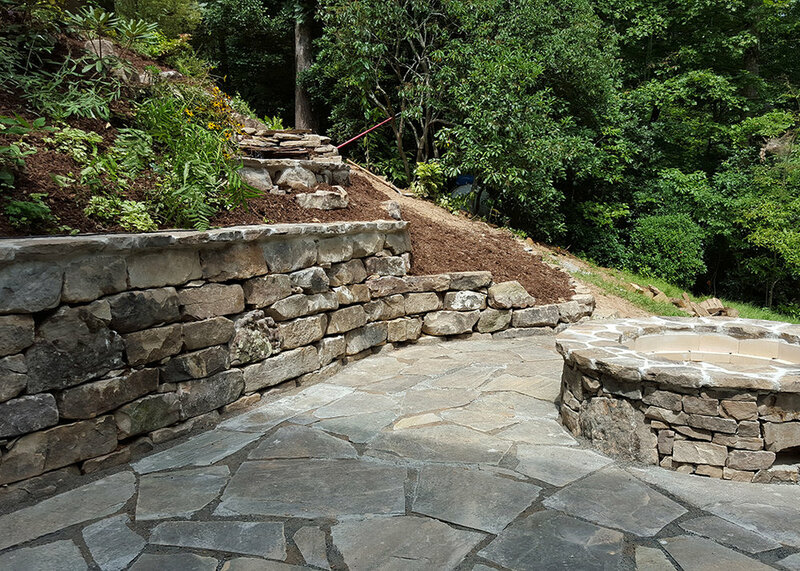 Our installation team builds intricate stone walls, firepits, patios, and walkways. Every landscape needs a focal point. We create water features that make outdoor spaces unique. Enjoy the beauty or close your eyes and let the soothing sounds drift you away. The best way to learn about Jennifer’s Landscape Design is to view our work. Click the link below to visit our Project Gallery.